Sometimes the best way to find a better job is to create one for yourself. Here are some things to think about before starting your own business. This is a guest post by Hillel Porath of iyazam.com. If you’d also like to guest post here on JobMob, follow these guest post guidelines. It all starts with an idea that’s floating around in your head, then you can’t sleep at night and when you fall asleep you start having dreams, visions, lights flashing and you then think God is calling out to you: ”My son… it's your turn now…” You wake up and you know that an entrepreneurial career is only a matter of time. Many business gurus will tell you that when it comes to entrepreneurship the only way to succeed is to drop everything you're doing and jump into the ocean of entrepreneurship and start swimming. The hard reality is that it won’t work for most people. What should you do when the calling comes? Have a job where you are making money. Have a job where you are not making money. Why would you want a job where you're not making money? Entrepreneur guru Robert Kiyosaki says the reason many entrepreneurs become successful is because they know what to do in their free time. When you know how to utilize your free time, you'll learn that you can actually build up a nice business without dropping everything else. The “free time” job is the job where you are not making money. The reason why you should keep your day job is because – as an entrepreneur or not – you always need a constant flow of money into your bank account. This is critical. Without that cash flow you will not be able to work on your own projects. That cash flow gives you the money, time and leverage – the peace of mind – that will allow you to build up your own business with minimum instability at home. Deciding when it's time to quit is a very personal decision to take only when you're ready. However, one rule of thumb that I once heard from business philosopher Jim Rohn is to wait until your free time job is earning more than your day job for at least 3 months in a row. Stick with your day job until then. I often hear people in Israel say things like “if I was only living in the States, it would be a lot easier to start a business.” Perhaps, but entrepreneurship has never really been about the ‘where’ as much as it's about the ‘who’. In Israel today there are many resources such as mastermind groups and forums that can help you in your entrepreneurial career. Start your business while you still have a stable income, and begin networking early to get connected with the entrepreneurial community in your area. Oh and one more thing- may the force be with you! Hillel Porath is the founder and developer of www.iyazam.com, the fruits of Hillel's many years in marketing and business. Hillel lives with his wife and toddler in Israel. This article is the last entry in the 2008 JobMob Guest Blogging Contest. If you like this article, you'll enjoy How To Use Blogging To Attract Job Offers and Other Benefits. 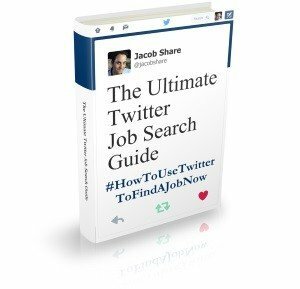 Looking to give yourself a job? 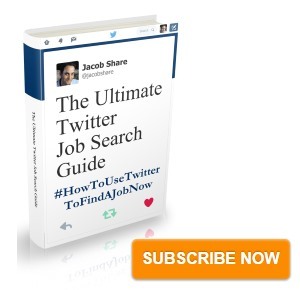 Subscribe to JobMob via RSS or email and follow me on Twitter for solid insight on making any job a success. I’m not sure “riches” are ever the way to think on these issues. Next PostWho Is The Winner of the 2008 JobMob Guest Blogging Contest?